Harriet Whitney Frishmuth was an American born artist who studied closely with man renowned sculptors including Augustus Rodin and Gutzon Borglum. 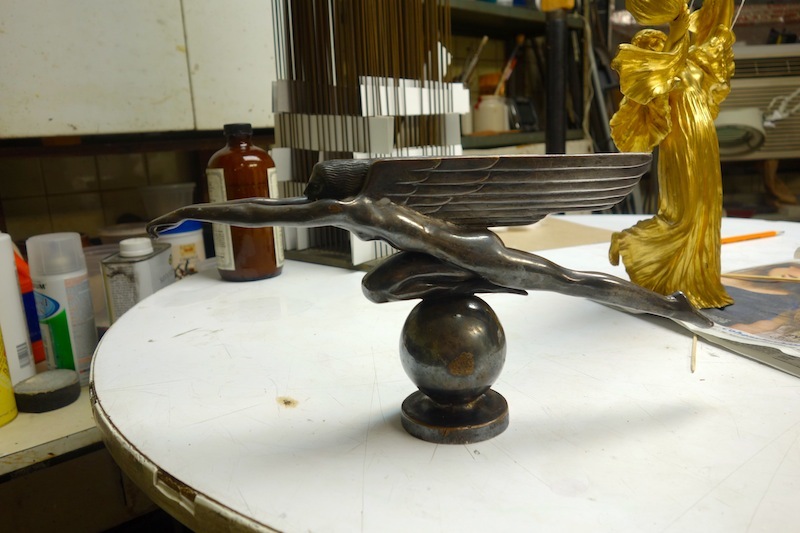 After her studies in Paris and Dresden, Frishmuth returned to the US and soon became recognized as one of the groundbreaking female sculptors of her time. She was best known for her ability to uniquely portray movement in her works of both human and animal figures. Although her favorite models were that of female dancers, her skill set allowed her to explore many other styles, forms, and medium. Speed, created in 1921, is an exceptional example of Frishmuth’s ability to explore these alternative artistic styles. 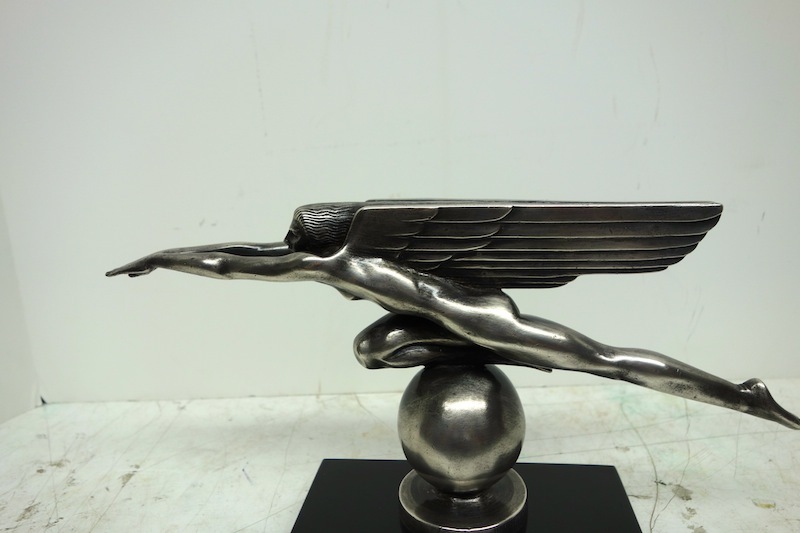 This Art Deco-style hood ornament was created during her short stint working at Gorham Manufacturing Company. 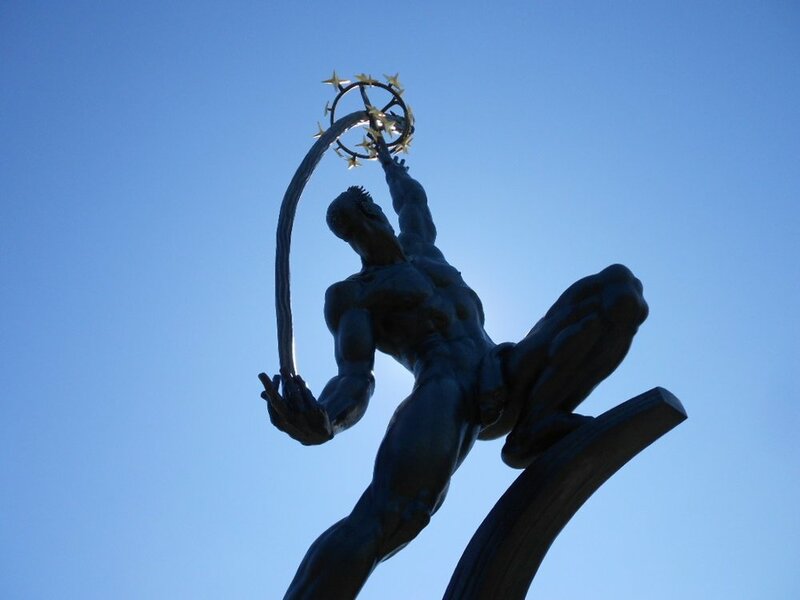 Our conservation team worked to repair surface imperfections, bent/cracked features, as well as a compete re-plating of the sculpture. 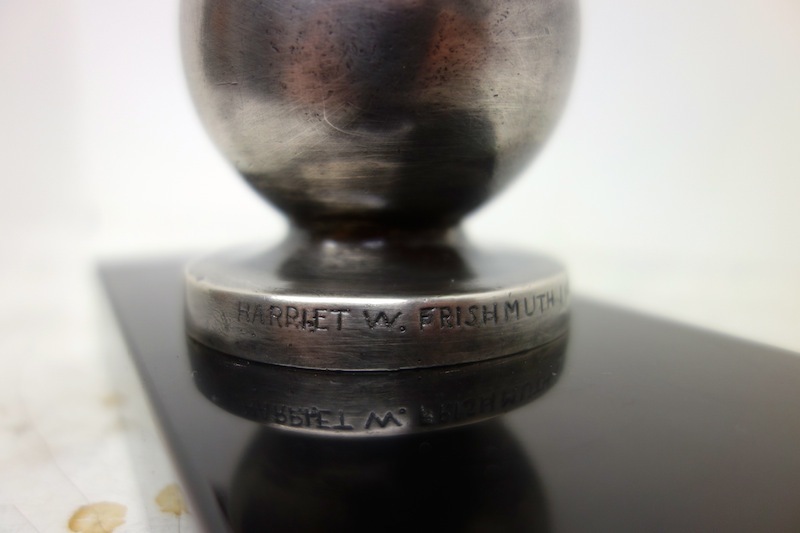 We are honored to have worked on one of the 30 created by Harriet Frishmuth during the 1920’s.